Religion • 20 years later, LDS observers still debate whether the "Purge" was helpful or hurtful. 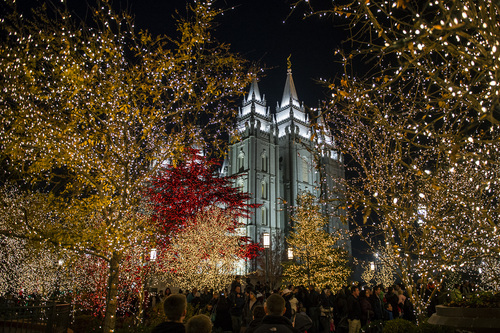 Chris Detrick | Tribune file photo The Christmas lights on Temple Square Friday November 29, 2013. Chris Detrick | Tribune file photo Visitors look at the Christmas lights on Temple Square Friday November 29, 2013. Al Hartmann | Tribune file photo Temple Square with Tabernacle, Salt Lake Temple, LDS Conference Center, Jospeh Smith Buidling and LDS Church Office Building seen from high angle above South Temple and West Temple on March 22, 2011. As Mormon activists Kate Kelly and John Dehlin await their fate before LDS Church disciplinary councils, many observers are harking back to 20 years ago, when the so-called "September Six" were punished in a crackdown that sent shock waves throughout the LDS intellectual community. Even now, 20 years after the LDS Church disciplined six Mormon writers in a single month, observers still debate the reason for the "Purge." Was it an unnecessary assault against well-meaning intellectuals or a vital strike against legitimate threats to the faith? Was it offensive or defensive? Was it an overreaction or overdue? Was it a warning shot or merely growing pains? Either way, it made headlines around the world and sent tremors through Mormonism&apos;s expanding intellectual community that reverberate to this day. The writers who were rebuked in and around the fall of 1993  Lavina Fielding Anderson, Avraham Gileadi, Maxine Hanks, D. Michael Quinn, Paul Toscano, and Lynne Whitesides  became known as "the September Six." Five were excommunicated and one disfellowshipped, a less-severe punishment, marking the end of innocence for many Mormon intellectuals. Writers such as Quinn were forced to recognize that the LDS Church did not see as helpful their work exposing problems in Mormon history, culture or approach. Tensions were heightened because, apostle Boyd K. Packer had warned, just four months earlier, that the LDS Church faced dangers from three groups: gays, feminists and "so-called scholars or intellectuals." At the time, Joanna Brooks, a respected LDS writer and observer, was 21 and an emerging feminist. The ousters suggested to her that "hard questions  particularly questions about the role of women in Mormon culture and institutions  were not welcome in Mormonism," Brooks says. "That was especially painful because a sense of fearless spiritual inquiry  [church founder] Joseph [Smith] in the sacred grove  was core to my concept of my faith." Brooks stepped away from the religion of her birth for a number of years, eventually returning in 2008. The church&apos;s discipline "branded Mormon feminism as an excommunicable offense," says Brooks, a professor of comparative literature at San Diego State University. "I can&apos;t tell you the number of times I&apos;ve been asked if I have been excommunicated. I have not, nor have the vast majority of thousands of Mormon feminists I know. But to say one is a Mormon feminist is to meet with that assumption." It wasn&apos;t only feminists who feared church discipline. 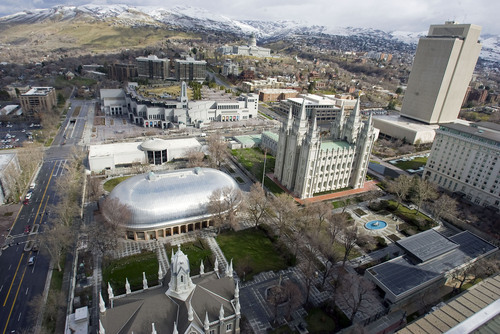 Mormon academics of all stripes, especially moderates at Brigham Young University or otherwise employed by the church, retreated from independent forums of scholarship, says Philip Barlow, chairman of Mormon History and Culture at Utah State University. That left such forums "radicalized," Barlow says. "Conservative voices in these fora were silenced or ghettoized." In hindsight, Barlow writes in an email, LDS leaders and the excommunicated members could have better navigated their conflicts. "A couple of [the September Six] had grown so animated by their (sometimes legitimate) issues and activism that they struck me as having lost the spirit of good will, humility and good judgment; I empathized with the church&apos;s concern," he says. "In other instances, I thought we as Mormon people and leaders shared responsibility for letting things get to the stage of confrontation without more lovingly, thoughtfully and patiently addressing issues of real importance that have come back to hurt the church." The LDS Church declined to comment for this story. BYU political scientist Ralph Hancock, who explains that he has no specific knowledge of the September Six cases, says his experience with Mormon disciplinary hearings "supports the church&apos;s claim that its councils are councils of mercy." Hancock supports the faith&apos;s right to discipline those who challenge its authority. "The whole mission and identity of the church depend upon prophetic authority and the ecclesiastical authority that issues from it," says Hancock, president of the John Adams Center for the Study of Faith, Philosophy and Public Affairs, "and I see no reason to contest the church&apos;s right to determine its own boundaries." 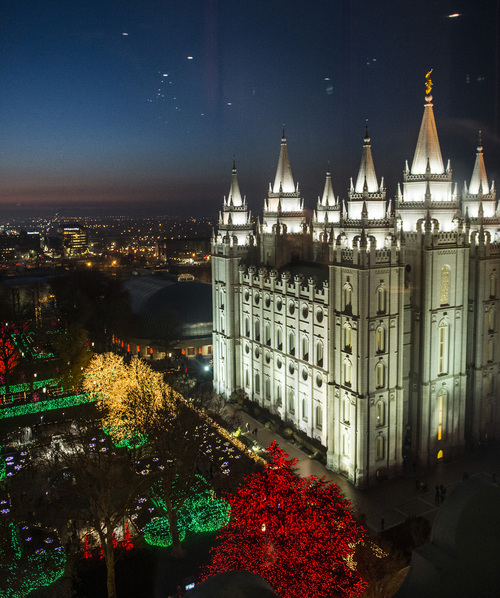 Mormon historian Matthew Bowman, who teaches religion at Hampden-Sydney College in Virginia, sees the 1993 episode as a natural part of LDS development. "As any church grows and becomes more diverse, it has to work out ways of managing diversity of belief and practice, ways of drawing lines and determining legitimacy," Bowman says. "What the September Six show us is that the process can often be dialectical, involving the give and take of leaders and laity, as the church in total seeks to come to a deeper understanding of what its mission is. In that way, then, pain can sometimes lead to growth." In the intervening decades, the LDS Church has largely taken a gentler approach to its critics, rarely resorting to excommunication (though a conservative Sandy writer was booted out earlier this month). At the same time, new generations of Mormon thinkers have found ways to explore the knotty questions of faith, feminism and history without directly challenging church authorities. USU&apos;s Barlow doubts such a purge would happen today. "Not only has the church gained experience in dealing with such tensions, but various scholars also have been induced to examine their presumptions," he says. "In some instances there has been a maturing on both sides." And what of the six themselves? Two (Hanks and Gileadi) have been rebaptized into the LDS Church, one (Anderson) continues to attend her Mormon congregation, another (Quinn) maintains his faith but not his church ties, and two (Toscano and Whitesides) have moved to other spiritual paths. "Being disfellowshipped from the LDS Church was one of the best things that ever happened to me," Whitesides says. "It opened up a world of spirituality I didn&apos;t even know was possible." Hanks undertook her own spiritual journey before rejoining the Mormon fold in February 2012. "I felt spiritually led back to the LDS Church," she says. " ... I found membership to be even more rewarding than I had expected."